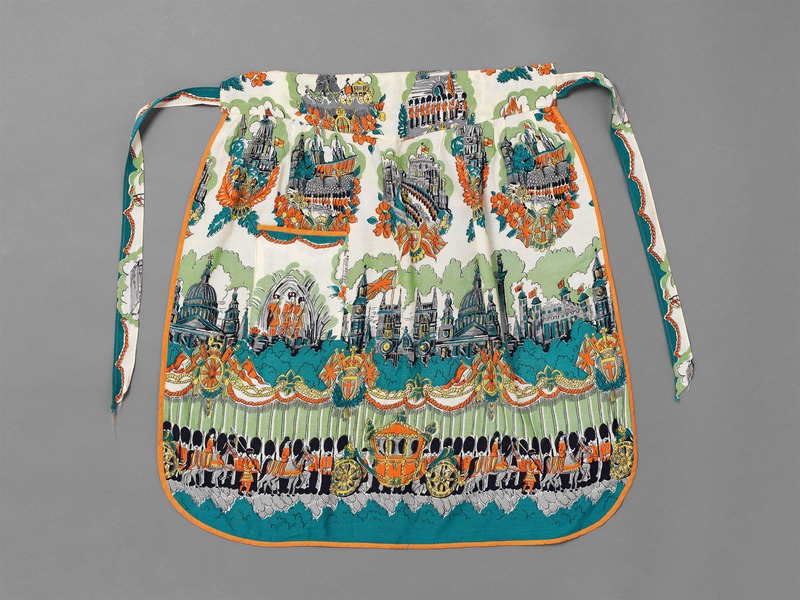 These typical examples, an apron and two scarves (see Additional Images), are printed in an unsophisticated linear style in a limited range of bright colours. 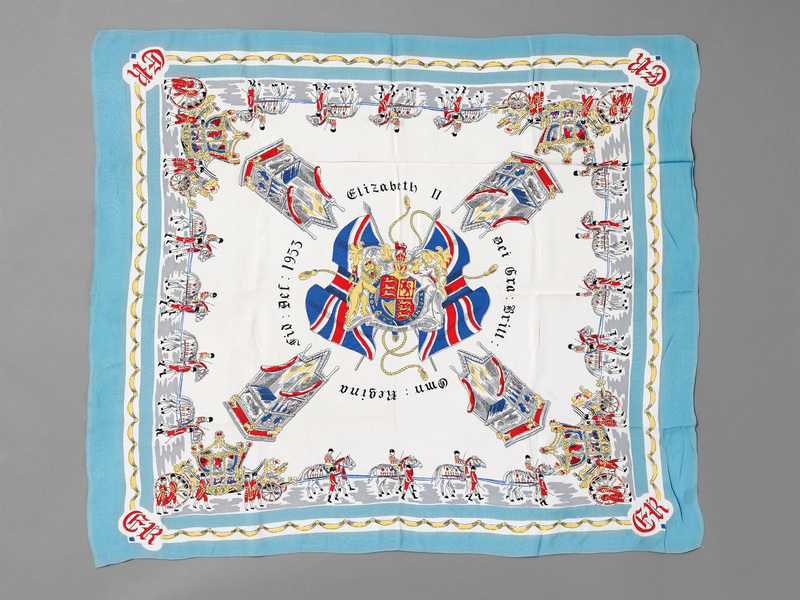 Unlike the souvenirs of the previous coronation in the John Bright Collection which favoured national and patriotic symbols for decoration (see Related Images) these three garments depict scenes of the ceremony and its procession in a vibrant almost comic book manner. 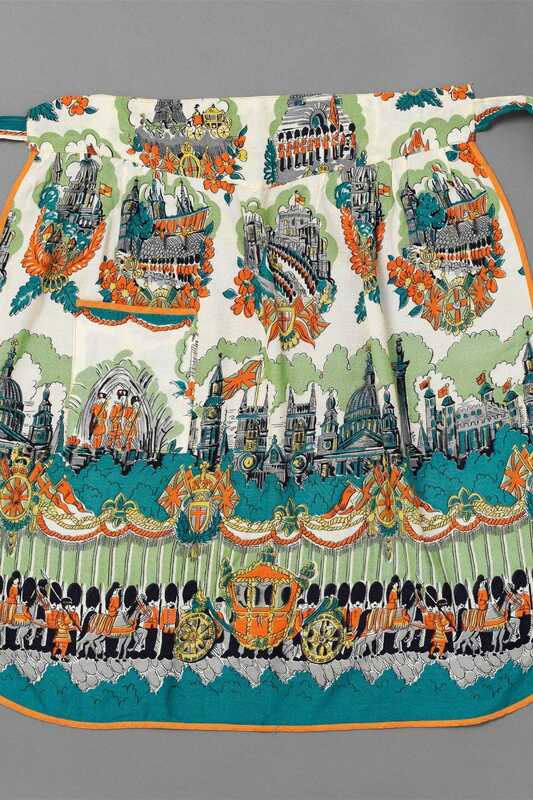 The apron shows London landmarks, St. Paul’s Cathedral, Westminster Abbey and the Tower of London, above the procession of the State Coach and attendant guardsmen. 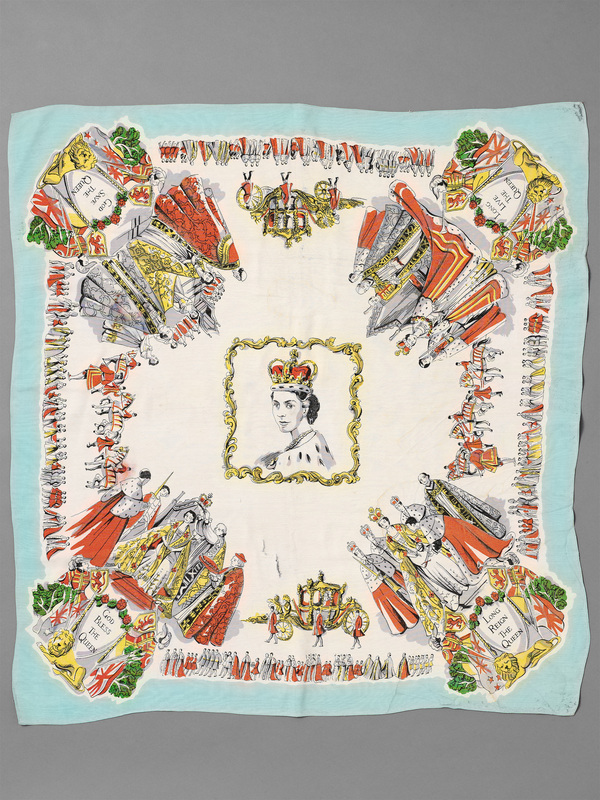 The square shape of the headscarves, made popular as a practical head covering during the Second World War, presented a different design challenge with visual interest needed in each of the four corners. One scarf repeats the image of the State Coach, pulled by pairs of grey horses, at each corner, with the Coronation Chair above, and, in the centre, the Royal Coat of Arms flanked by Union flags, within the words ‘Elizabeth II by the Grace of God, Queen of the British Territories, Defender of the Faith 1953’ in Latin. 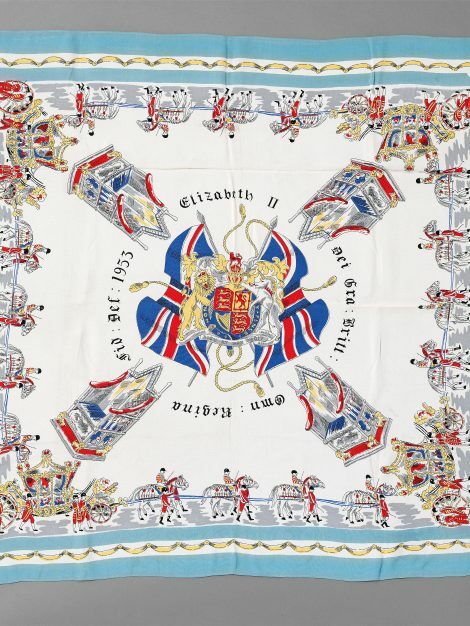 The second scarf, more ambitiously, provides four different scenes from the coronation ceremony for the corners, linked by the State Coach and its horses, and a narrow border of the coronation procession.